I used to do ballet when I was young, albeit due to circumstances at a very low-key level. I lived far from the big city of Vienna and training three times a week had to be enough (I was actually very lucky to get that much in our small town). It was enough for me and my life, since I had many other interests, but it was never to be enough to start off a career. But nonetheless, being a ballerina was a dream, although it was quite clear it would always remain an unobtainable one. I vividly remember the scent of sweat mingled with colophonium, the tinkling of the piano and the strident voice of the Maitre de Ballet. Sometimes, in rare blessed nights, I still dance in my dreams. I float weightlessly, feeling nothing but elation, forgetting all about the blisters and the strains and the cramps. It is just me and the music and perfect harmony of both. Upon awakening I feel crushed by the actual heaviness of my body, the inexorable pull of gravity that I defied so easily in my sleep just moments ago. Waking up is like emerging from deep underwater, feeling unfamiliar with my weight, having to adjust again. I got all nostalgic yesterday when I happened upon this excellent web series produced and related by Sarah Jessica Parker on AOL. Hop on over to view the 12 episode series called city.ballet. The show features the New York City ballet and its dancers, from apprentice to seasoned principal dancer. If I could have anything in the world, if the much-cited fairy came along, I would love to choose another life as a dancer in New York City with one of the greatest companies in the world. What is your unrealized dream in life? Is it too late for you or could you still have a go at realizing your dream? This entry was posted in Beauty, Ramblings and tagged AOL, Dance, New York City, New York City Ballet, Sarah Jessica Parker, Web series. Bookmark the permalink. 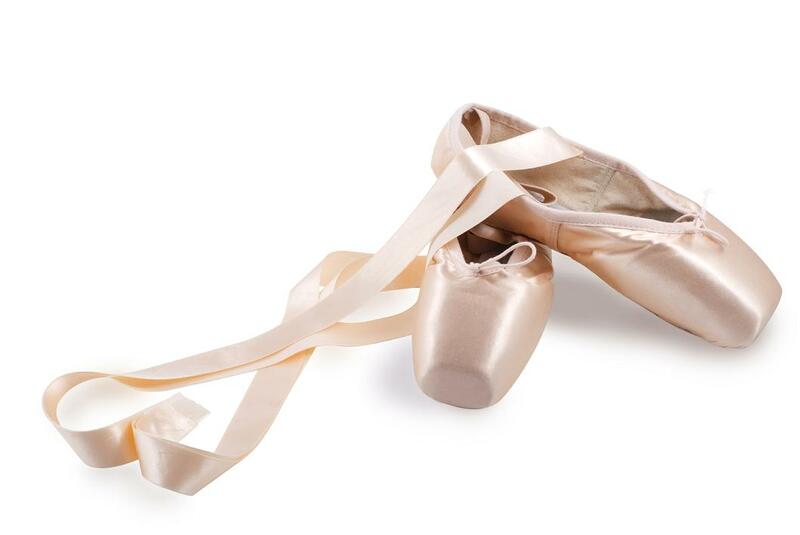 Waking up from those weightless ballet dreams sounds so sad. That series must have made you feel very wistful. Beautiful pics. Do you have any of yourself while dancing? I also have unfulfilled dreams but I never had the slightest idea of what I wanted to do with my life as far as a career or vocation is concerned. I consider myself lucky that I fell into a job that seems to suit me perfectly. That is lucky indeed, I’m glad for you. Did you watch some episodes of city.ballet? What great dreams…I can totally relate, having been a dancer all my life (now I teach) I still dream about doing 12 pirouettes on pointe or performing Odette off the cuff with no rehearsal!!!! But I think if you can imagine it, you can do it. Off to look at those videos, thank you for the link! Oh how wonderful that you are a dancer! I hope you enjoy the videos, they are well done, I think. I want to offer you some encouragement, and inspire you to rekindle the dancer in your body. Find some classes where you live if you can, and start flowing, and moving within your body. We never EVER get to an age where the expression of our body cant be fulfilled in some way. I wan t to point out, that you have found a way to express your beauty and creativity in words, through fragrance. Your charisma has attracted you many readers, who look forward to your offerings. Sometimes our dreams morph into things we don’t expect, which is why we must stay open to all possibilities. I know writing is not the same as being on stage, but as a lover of movement, I realize that what my soul wants deeply is to move and flow creatively. It also loves the challenge of learning new movements, and I believe that will always be the case, no matter how long I am in this world. As a yoga teacher I see many people do things that they never thought possible, and I have students in their 70’s. My style is creative and flowing, so it feels like dance. I am a wanna be dancer at some level, so I think that is why I have such a creative and flowing practice. I think the important thing to remember is, to always approach life and choices in life with an open and creative mind. Never regret past choices, they were perfect for the time, and opened many doors. Choose things that nourish the spirit, and do everything with as much love and joy as possible. Thank you very much for your words of encouragement, I will take them to heart! I loved this post. We all have those dreams and I treasure them when they happen to me. I look upon them at my “other life” my internal life where when my eyes close I can be anything or anyone I want to be. The funny thing is, that sometimes when I am drifting off to sleep I can hear an orchestra tuning up for a performance. Those are the nights when my dream is an M.G.M. musical. When I was a little boy I wanted to grow up to look like Tyrone Power and dance like Fred Astaire. I wanted to be a movie star! You know, Lanier, in my mind you are a movie star! All your wonderful Hollywood stories on the blog have created an image of you in my mind that is not at all far from Clark Gable, Cary Grant and Gene Kelly all at once. Thank you so much for this!I watched a few of the videos,they are so well done,I am full of admiration for dancers,I am a classical singer myself and have always felt quite lazy next to them!It is a bit shocking,the kind of pressure they face,it seems so cruel,and I wonder how they manage to still express themselves,how can they grow,if every step they take is scrutinized and judged?All the dancers i have met have something special,and I have an aunt who is an examiner and at 74 still a wonderful dancer,she has so much energy! I was touched by what you said about your dreams,I hope you find a way of dancing,when I don’t dance for a while,something is not right! I’m glad you watched a few of the videos. I think could not stand the constant pressure either, it must be a such a powerful need to dance to be able to withstand all the stress that surrounds it. I enjoyed reading this, Birgit, and I will watch some of city.ballet later, while my husband watches football. Being a total klutz myself, I have the utmost admiration for those able to do something so difficult physically. As to unfulfilled dreams, it’s hard to say; life could have gone in many different ways but then I wouldn’t have the life I have now. It’s all lived one day at a time, after all. Thanks for the lovely post! Thank you, Anita! Let me know how you liked the videos! My life has been a series of unfulfilled and broken dreams. I was never a good ballerina prospect though. I bet if you took up some other type of dance you could still live out a different version of your dream. Maybe not a ballerina, but you could still be a dancer. I was never into ballet but I would have loved to be a dancer. Dancing as an art form never ceased to surprise me and being able to get your body to do all your mind conceives must be an incredible experience. Exhilarating! That said, my unrealized dream (beside never being able to dance like that) is not being a photo model. I know, it’s shallow and stupid and shows how influenced I am by the thin trends of our modern world. a local piano prodigy and longed for a career in music. I was never able to become a professional, but I did get to study with Yehuda Guttman, an Israeli genius who lived in Key West. He taught me a great deal, and he also appreciated beautiful fragrances. Ballet, music, fragrance, it’s all related. So true, Anita. It is all related by the quest for beauty! That is an awesome dream! Thanks for sharing, Tora! I watched all of city.ballet today. Thank you for sharing this. It’s always nice to see a well done ballet documentary. Glad you enjoyed it, Nat! I can just picture you as a dancer – you have such natural grace and elegance, and your hair is up in a bun a lot of the time, so you are ready to go! Victoria of BdJ is another one – she didn’t give me any tips on dancing, but showed me an inner thigh-improving lunge that I am ashamed to say I have not practised since. Birgit, Vanessa, if you haven’t found the Ballerina Project on FB, you will certainly enjoy it. I didn’t know about it, will check it out asap! Thank you! Beautiful. I wish you many dream encores. We are dancing on a star, don’t tell when the party’s over.